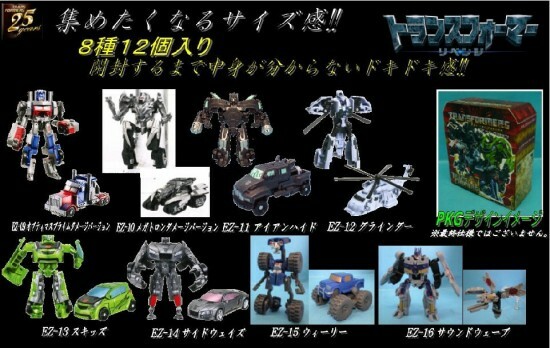 Takara Tomy announced the collection 2 for their Transformers Movie 2 Revenge of the Fallen EZ Series. The collection #2 will includes more new characters like Wheelie and Soundwave (which are yet to released from the Hasbro Legends Class). For the previous set EZ Collection #1, you can check from our previous EZ page. Toywiz Malaysia will be taking preorder for this items soon and some of the figures are sold in sets only. Pre-order yours now at Toywiz!